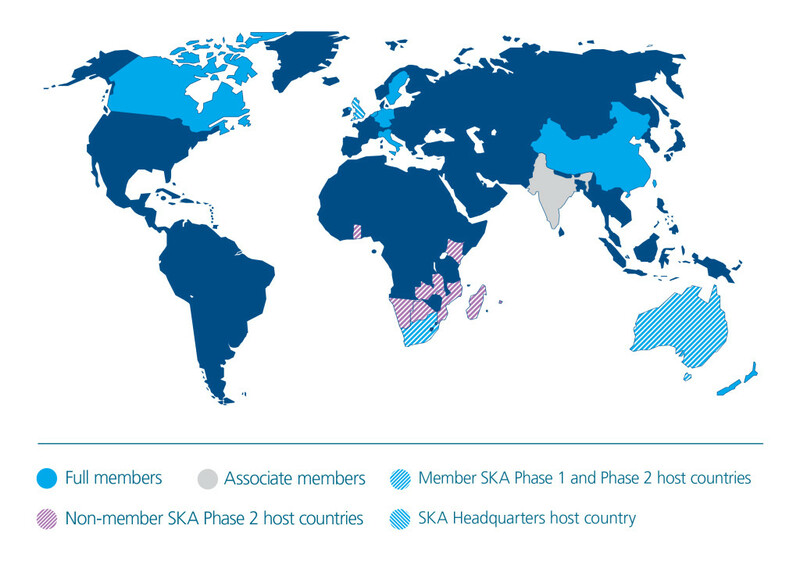 With 40% of the world’s population involved, the SKA Project is truly a global enterprise. Furthermore, whilst 11 member countries are the core of the SKA, around 100 organisations across about 20 countries* have been participating in the design and development of the SKA and are now engaged in the detailed design of the telescope. Here is a list of links to the key participating nations. India’s National Centre for Radio Astrophysics is an associate member of SKA.